Server backup software is used to ensure the information stored or processed through server hardware remains intact in case of mechanical failure or user error. They store the information processed by the server in a remote location, a remote cloud, or on some other on-premise hardware device. Companies use these to prevent data loss in disaster scenarios as well as to ensure their business data or customer business data remains available. These tools differ from other backup technology because they communicate directly with the server and operate solely to store its information. Server Backup reviews by real, verified users. Find unbiased ratings on user satisfaction, features, and price based on the most reviews available anywhere. 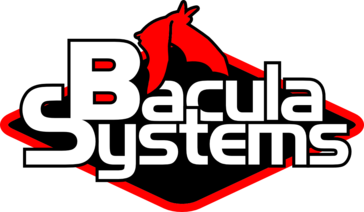 Bacula Enterprise Edition is a set of subscription-based enterprise data backup solutions which empower data centers to truly escape data volume price traps. High numbers of enterprise organizations worldwide (incl. NASA, Bank of Austria, Swisscom or Sky PLC) have adopted Bacula Enterprise backup software in mission critical environments because of its advanced features and ability to handle high data volume at very low cost. Features include support for Linux, Unix, Windows, Mac OS X, Solaris, AIX and MySQL, Oracle, PostgreSQL, MSSQL, SAP and SQLite DBs as well as VMWare, Hyper-V, Red Hat, Proxmox and KVM virtual machines backup. Bare Metal backup and data recovery is also supported on both Windows and Linux. Bacula also allows backing up directory servers (MS AD and LDAP), Exchange clusters, NAS / SAN storages and NDMP devices. Beemo2Cloud is a backup solution that focuses on security by combining three layers of backup, ensuring business continuity through the constant availability of their information system. Beemo2Cloud is easy-to-implement and easy-to-administer. BitCalm ia a backup service for your servers: filesystem, web sites, and others. Bocada is the leading independent backup reporting package for enterprises. Bocada has assured business continuity by independently validating backup success. Through patented, agentless data collection technology and interfaces to over 15 backup products Bocada simplifies an IT manager’s view of complex data storage environments. One screen provides visibility to key backup success metrics and eliminates hours of data collection and compilation for compliance and SLA reporting. Bocada analytics shorten the path to failure troubleshooting and automate key aspects of backup administration. A multi-vendor backup portal that allows you to see all of your backup devices and servers from a single dashboard. Databarracks provides ultra-secure, award winning Disaster Recovery, Backup and Infrastructure services from UK-based, ex-military data centres. Databarracks is certified by the Cloud Industry Forum, ISO 27001 certified for Information Security and has been selected as a provider to the G-Cloud framework. Dbvisit Standby is the SMART ALTERNATIVE TO ORACLE DATA GUARD enabling you to cost-effectively protect your critical data infrastructure and get more out of your existing investment in Oracle Database Standard Edition and Standard Edition One software. Ecora Software is a provider of automated configuration auditing and analytics solutions. Exucom provides our customers with enterprise grade , Fax Server, Data Backup and Recovery and Content Management solutions. Our clients benefit from our niche technology experience, deep vendor relationships and a passion to deliver and support our client’s critical business systems. EzBackup works by copying your computer’s important files to a pair of secure, managed servers, located in 2 geographically-dispersed locations within the U.S.
Flexential can support your unique data retention and compliance requirements as well as help you implement your disaster recovery strategy. We provide a deep bench of certified DBAs and solution architects for SQL Server and open source databases. This recovery software is equipped to fulfill all your data recovery needs, it's cleverly programmed with a highly effective recovery algorithm and that makes your entire data recovery task quite easy and done in an effective manner. Provides an automated daily backup of your Emails and allows you to restore or export data from any point in time. Get high-speed, storage-efficient backup and restore for SQL Server databases, with up to 85 percent savings in backup size and duration compared to competing solutions. LiteSpeed for SQL Server makes it possible, with minimal effort and risk. Ensure the correct SQL Server data is restored and available as quickly as possible with a wide variety of recovery options. Integrate directly with Microsoft Azure Blob storage and Amazon S3, as well as ISM TSM for cloud-based backup and restore with on-premises and virtualized cloud SQL Servers. Lockstep Systems Backup for Workgroups is a business continuity software for Windows servers and networked PCs. MiniTool ShadowMaker is an all-in-one system backup and data protection solution that can be used to back up system and disk, to customize backup schedule, to manage disk space taken up by backup files, to create WinPE bootable media, and clone hard drive. MXSAVE is an email disaster recovery service that works seamlessly with on-premise or hosted anti-spam solutions. MySql Backup offers solution to automate backups of MySQL database. Neverfail Cloud Backup and Recovery, built on Veeam, provides fast, flexible, and reliable recovery offsite backup and recovery of server applications and data. Support for virtual, physical and cloud servers enables IT to deliver offsite disaster recovery (DR) services and ensure IT availability with the #1 VM Backup for VMware vSphere and Microsoft Hyper-V.
Openredis offers dependable Redis hosting with automated backups and memory monitoring. QILING Disk Master Professional is a fast backup and recovery software solution and also a ramdisk and partition manager software. Quest DR Disk Backup is a virtual appliance for virtual environments that delivers an economical alternative for protecting data using multiple targeted VMs within primary sites, or single VM implementation for remote or branch offices. Ringstor Enterprise Data Backup & Recovery is a business continuity software that combines traditional data backup and recovery solution capabilities with "software-defined data storage backup and recovery" attributes and with minimal agents can backup and recover Windows, Linux, Mac, SQL, Exchange, Google, Oracle, VM Ware and connects to public cloud and FTP, plus spins up a private cloud for central management. Rocket DASD Backup Supervisor software provides complete data protection assurance for IBM z/OS environments by ensuring all relevant data volumes are automatically and properly incorporated into backup and recovery processes. You get easy, flexible data recovery, comprehensive forecasting reports that enable fine tuning, and the ability to automate point-in-time data replication products. Rocket Mainstar Database Backup and Recovery for Db2 (DBR for Db2) is a storage-aware backup and recovery solution. It integrates storage processor fast-replication facilities with IBM Db2 backup and recovery operations to allow instantaneous backups, reduce recovery time, and simplify disaster recovery procedures for IBM z Systems using less CPU, I/O, and storage resources. Rocket Mainstar Database Backup and Recovery for IMS (DBR for IMS) is a storage-aware backup and recovery solution. It integrates storage processor fast-replication facilities with IBM IMS- backup and recovery operations to allow instantaneous backups. You can support your recovery objectives while using less CPU, I/O and storage resources. Rocket Virtual Data Recovery LE (VDR LE) is a limited version of Rocket Virtual Data Recovery designed to allow tapeless virtual tape systems to achieve full tape-based backup, thus receiving the most ROI from a virtual tape investment. Rocket VDR LE ensures the advantages of Virtual Tape Library (VTL) technology are realized and removes the risk of data loss resulting from DASD or unit failure. rReplikator is a business continuity software that backs up data when they change, keeps versions of changed files and recovers lost files from stored versions. SafeStor is fully flexible to be part of cloud/virtualization provisioning as your operational needs scale up and out. This modular solution can easily be deployed in conjunction with UbiStor's SafeHost DR to assure, when needed, 24/7/365 availability of data and applications. SEP sesam is an enterprise-wide backup, restore and disaster recovery solution for enterprise-wide deployment in any IT environment. Servare Online Backup Suite offers an Offsite Backup Server (OBS) is a server application which offers online backup services to its users. It also offers Online Backup Manager (OBM) is a full-featured client application used to backup data to the OBS. When your IT infrastructure fails, SpareSync will guarantee uninterrupted business operation. StarWind Virtual Tape Library helps businesses to eliminate their costly tape backup processes while meeting regulatory data archival and retention requirements using on-premises Virtual Tape Libraries with cloud and object storage tier. Stellar Phoenix Exchange Server Backup is a free software that takes full & incremental backups of mailbox stores / storage groups and helps you to restore mailboxes from the created backup. The software comes with Bare metal backup & restore feature that allows you to take backup of your OS volume. Storage Director is a software defined, policy-based and tiered enterprise backup virtualization solution that enables data from any host, OS or backup application, to be backed up to any storage device, medium or technology, including IBM's Cloud Object Storage (Cleversafe) platform, or any S3 compatible cloud. Storage Director is a fully virtualized target for any backup application such as Spectrum Protect, NetBackup, Commvault, Veeam, etc. and enables policy-based data pools to be created and backed up to multiple targets and replicated for remote storage and DR. Storage Director is unique in being able to present a single backup target or solution for backing up all open environments, such as Linux, Windows, VMWare, UNIX, etc. as well as all proprietary host platforms, such as IBM Mainframe (z/OS), iSeries, HPE NonStop, HP Open VMS etc. on a single node. With Storegate corporate solutions, you collaborate with your colleagues just as you do using a normal file server. Share files,folders and other information internally or externally. Talena is a data management platform that fully optimizes data management processes. Trustco PLC is an IT infrastructure service provider offering virtualisation, storage, backup and disaster recovery services. Fast, easy-to-use backup and disaster recovery software. Free trial of reliable solutions with U.S.-based support! Customer driven innovator for over 30 years. Virtual Machine Backup (VMB) lets you backup and archive VMware virtual machines to your IBM Tivoli Storage Manager (TSM) server, on a STORServer Appliance or in an existing TSM environment. With Webair's Off-site Backups-as-a-Service (BaaS) solution, customers can mitigate the threat of detrimental data loss utilizing multiple protection tiers with options for instant recovery from Ransomware and human, infrastructure and application failures via a global network of recovery sites. Hi there! Can I help you find the best Server Backup solutions?